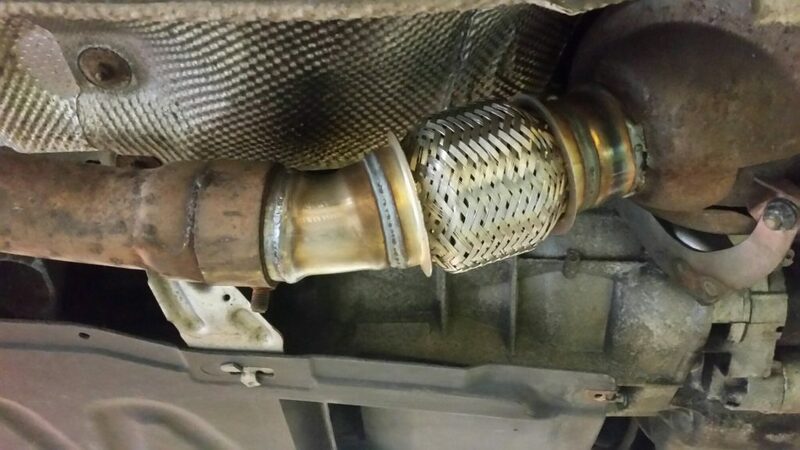 The cost of a new exhaust can be pricey and so, in some cases we can save our customers money by cutting out and welding in new parts – like the flexi joint (below) on a BMW 320D. 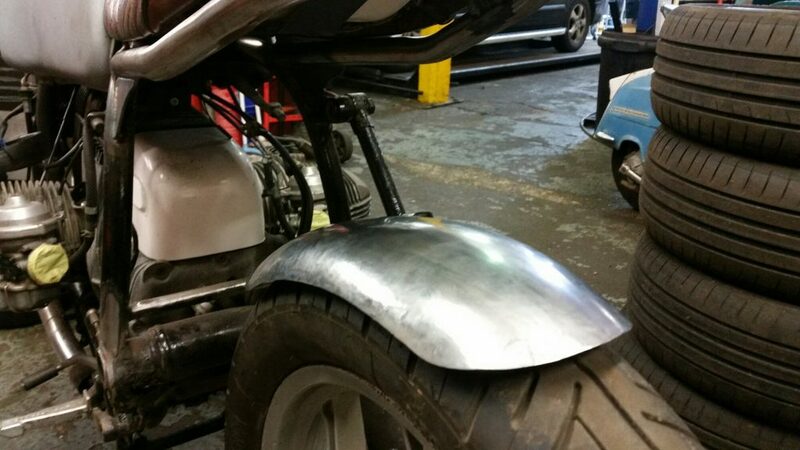 This is a common part to fail on this model of BMW and typically costly to replace. 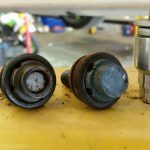 Flexi-joints can be used to fill in a corroded area of the exhaust, they are available in many sizes and bores to cover all types of vehicle. The flexi-joint is flanked by two sealing joints fabricated into the original exhaust system where the corrosion occurred. 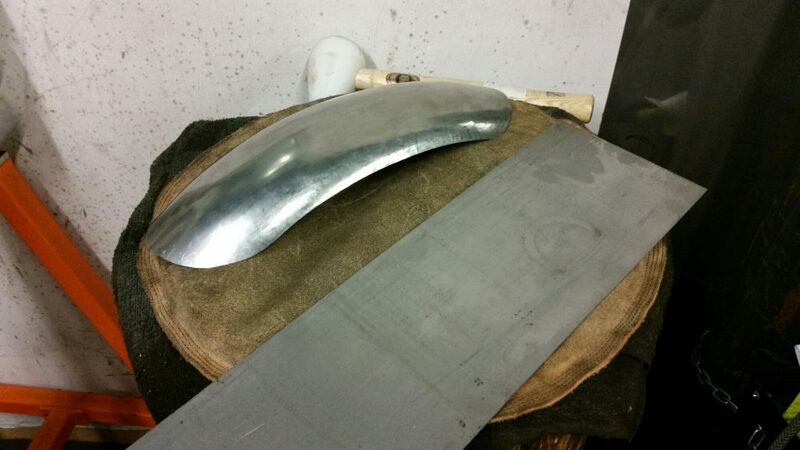 In this example we utilise an English Wheel to fabricate and manufacture mud guards for a customer’s motorbike. 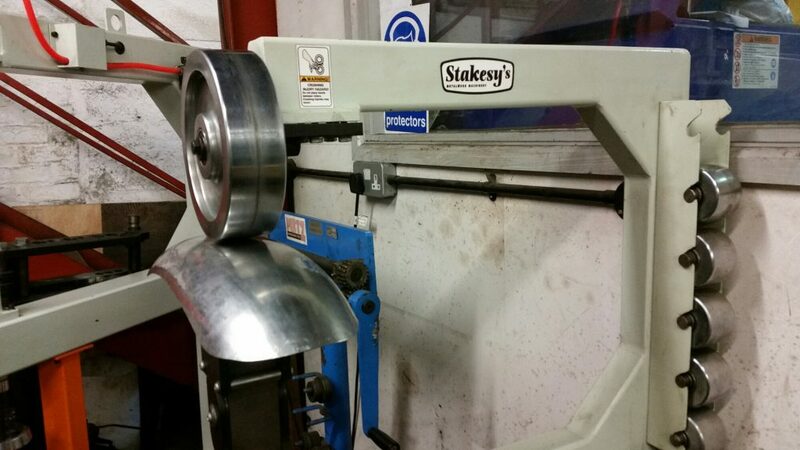 The English Wheel can be used to fabricate all manner of multi-dimensional curved surfaces, including body panels.